Keep your pillows as perfect as day one. Essential to your comfort, pillow protectors are one of our secrets ways to enhance your sleep. 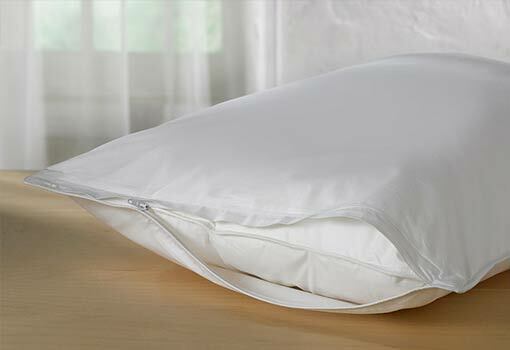 They prevent moisture and odor, and, thanks to their snug fit, plump up your Hampton hotel pillow to an ideal loft. Optimize everyday comfort with that extra special touch, just like we do.